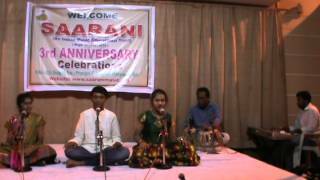 SAARANI is a non profit and non commercial organization providing free Music classes. This is a music research report-ire and training center. SAARANI is the main string in Tambura. Sun lite for human kind and Saarani in Sapthaswara is very important. SAARANI is Adhara to create and elivates the remaining 6 notes, likewise, this SAARANI strives to provide foundations to aspiring musicians and music lovers. Being able to sing is God’s gift and one of the rarest talents that just a few possess. On an average, it is estimated that a mere 3 or 5 people in a 100 are musically gifted. 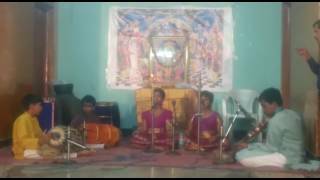 These gifted singers, if given proper training, become good at their skill. However, a few of them can even be extraordinary and exemplary musicians. Talent can be born anywhere. With the right kind of training in music, this talent can be nurtured and can be turned into greatness. But this kind of training is not available except in a few cities and a few classical music schools. There are but a few gurus imparting music education. Classical music is a science which every musician must learn. But, in today’s world, a singer needs to be able to perform in a variety of musical genres. 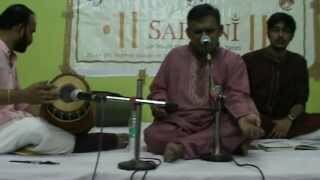 So a singer must learn light and semi classical music along with singing techniques to be able to sing ghazels, film songs, geet, folk songs and songs based on western music. A mentor is a trustworthy and experienced guide and teacher, who helps someone. 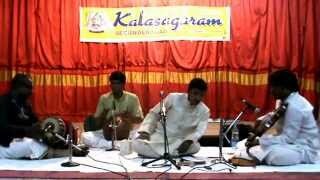 Thyagaraja,Deekshitar,Syamasasthy are the mentors of world of music. Their period music is golden era. Many generations are depended on their mentor ship. They contributed and devoted their entire life to world of music.